Tucked away in the heart of Transylvania County, we serve the Rosman, Brevard, Lake Toxaway, Cashiers, Highlands, Hendersonville, Asheville, and Greenville areas; and are just a short weekend trip from Charlotte, Atlanta and Knoxville. 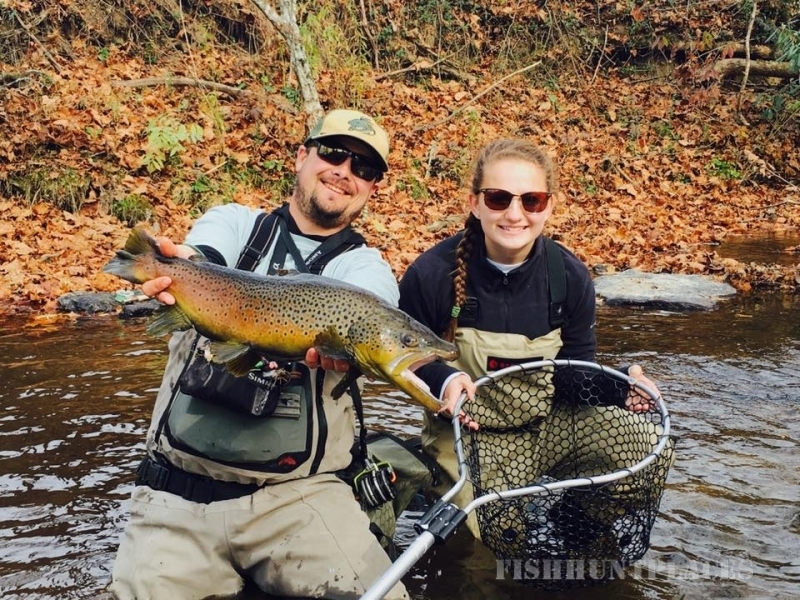 Our Fly Shop and Outdoor Outfitters sits at the confluence of the West and North forks of the French Broad River, where the historic French Broad River begins. Minutes from the famous Davidson River and the Delayed Harvest section of the East Fork. Headwaters Outfitters is surrounded by the Pisgah National Forest, Dupont State Forest, Nantahala National Forest and Gorges State Park. 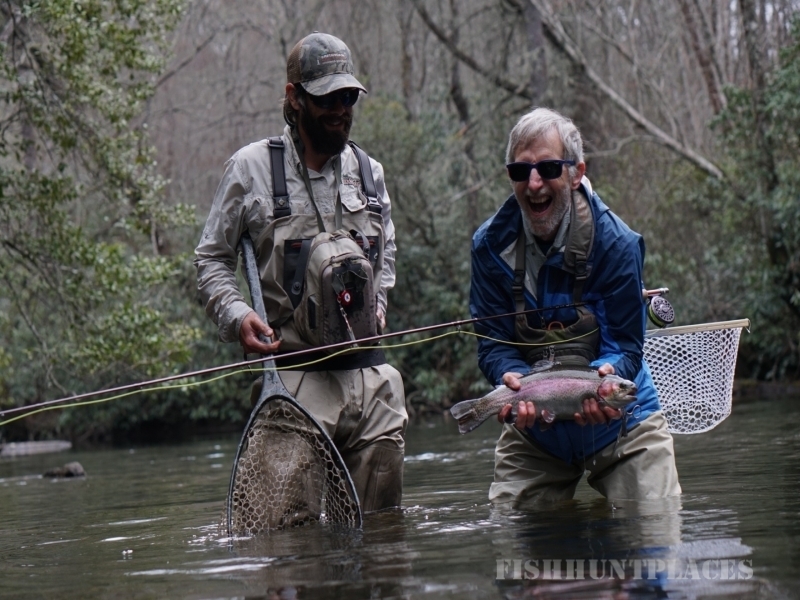 We offer Guided Fly Fishing Trips on the many public trout streams Western North Carolina has to boast about. We also have pristine private waters where you are guaranteed solitude. 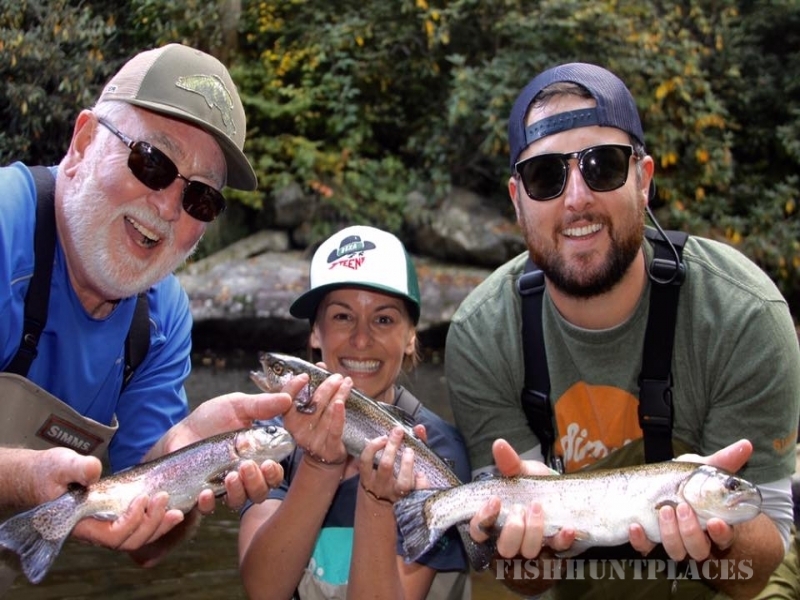 Our professional guides have decades of experience on the streams and rivers of the Appalachians to offer you the best experience possible on your guided trip. 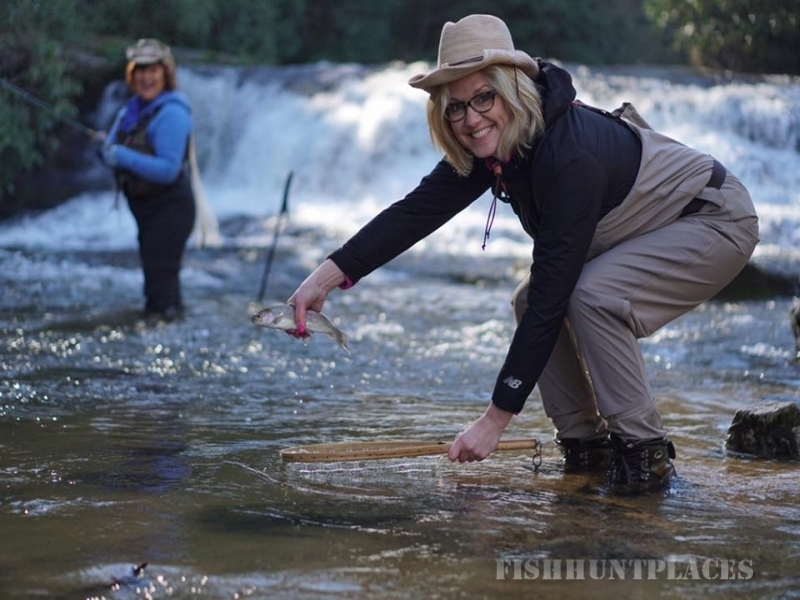 Our School of Trout is an introductory course where you will learn basic knots, casting, etymology, how to read water, and everything in between. Our Canoe and Kayak river trips down the main channel of the French Broad offer fun for the whole family. Enjoy a 3, 4 or 7 hour trip on beginner friendly Class I water. Camp overnight riverside at our private canoe in only campground. We also offer a Zipline/Canoe Trip that combines a relaxing paddle down the French Broad River with an exhilarating Zip Line course. You may also choose to cool off with a lazy river tube ride. All of our trips including the canoeing and kayaking are self-guided with the exception of our seasonal special events and personalized paddling instruction courses. Headwaters Outfitters also carries a great selection of canoes, kayaks and Stand Up Paddle Boards (SUP) for sale in our river shop. Test paddle canoes by Old Town, Mad River & We-no-nah. We have kayaks by Jackson Kayak, Wilderness Systems and Perception. We are a proud retailer of Boardworks SUP boards. Our Fly Shop is stocked with everything you need to have a successful day on the water. We carry leading brands such as Simms Fishing Products, Costa Del Mar, Fishpond, Tenkara, Temple Fork Outfitters, Anglers Image, Rio, and more. We can outfit you from the hot flies of the day to lifetime rod/reel setups and boots and waders. Thursday through Sunday enjoy lunch and/or dinner at the Blue Smoke BBQ Food Truck located here in the parking area of the shop.